Happy Pi day everyone! In honor of the occasion everything in the shop is 31.4% off. Enjoy! It's that time of year again. Daylight savings! At 2am tonight North American players will lose an hour as clocks jump forward to 3am. The server runs in a European timezone so server time will not be changing until March 31st. Until then, those who experience daylight savings time tonight will see a 1 hour different in server time relative to their timezone. After March 31st the time offset between North Americans and the server will return to normal. Over the past two days some of you have been getting an "Error while processing delivery" error when purchasing items from the shop. This has been resolved and you should be able to purchase items normally again. Also a reminder: double vote and double donations will be ending at the start of March as will several events. Hope you've all enjoyed the celebrations! Tonight we sent out 3 free lottos to everyone as part of our 6 year anniversary celebration. We also went over some of the things we've accomplished in 2019 so far and some fun previews for things we have on deck. You can view the web version of the announcements here. Thanks for sticking with us for so long! 2x donations will last until the end of the month. 2x vote rewards will last until the end of the month. 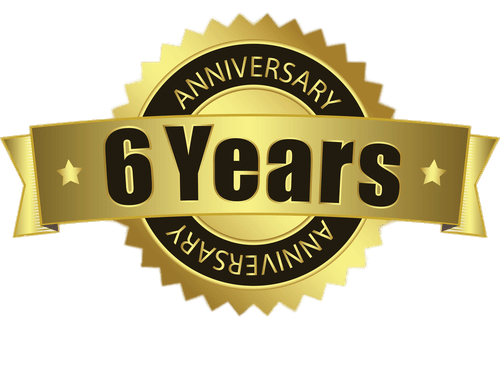 6 year anniversary video contest will last until the end of the month. Now that we are officially 6 years old, it's time to say good bye to the much loved 4 year anniversary lotto. This item will be removed from the shop at the end of the month and is 25% off until then. Good luck! We're also changing how we do donation events. We will be phasing out 2x donation events going forward and instead will have more frequent sales on different shop items, combination deals, and coupons offering various sorts of discounts. Over the past several weeks the prices of shop items have been adjusted to ensure fairness and affordability with this new 2x policy in mind. So take this opportunity to stock up on bananas as this will likely be our last double donation event aside from very major holidays. We still have several more surprises in store for you all. Keep an eye out for an email this week with some exclusive giveaways and special announcements! Ensure your email is set correctly so you don't miss out on any of these giveaways and announcements. Double vote rewards have been enabled from now until the start of next week to 1) compensate for the downtime today 2) celebrate valentines day 3) and as an early start to our 6 year anniversary celebrations. That means you get 1,680 Jaden for every vote! This weekend is our 6 year anniversary. It's crazy to think that this server has been around for 6 years now, and Jade Monkey + the original MD for even longer. Thanks to all of the staff and players who have made us what we are over the years and especially for all of the hard work lately by Perry, Kaz, and the rest of the staff team building this server to new great heights. We really couldn't have made it this far without all of you. We've been working extra hard since the release of Starfall and I think it shows. We've never been more dedicated (or skilled) and I can't wait to show you all of the rest of the cool stuff we have in store over the next few months. Stay tuned for more surprises coming out soon. Cheers! There was a failure with one of our server's disk's last night and the result has caused a more complicated issue involving the kernel. I am working on it now and will have everything up and running as soon as possible. Sorry for the trouble everyone. We've further improved our ability to perform faction and gear changes. Gear changes used to cost 500 Bananas, they now cost 300 Bananas. The single piece gear change used to cost 150 Bananas, it now costs 100 Bananas. The Faction change used to cost 250 Bananas, it now costs 175 Bananas. We are still working on bringing Chroma changes, Chroma refunds, Full Change, and more! The amount of Jaden you will get when purchasing Jaden with Bananas had not increased along with the amount of Jaden earned from voting. Jaden rewards from purchasing with Bananas have now permanently doubled! Chroma has been completely removed from the Banana Shop, permanently. Bodhi Seed was added in Patch 57 and is available now. This is our first release of Bodhi Seed with future releases TBA. We have lowered the cost of the 4-year anniversary lotto from 150 Bananas to 100 Bananas due to it being in the shop for 2 years and some of the items rewarded being of less value in the Starfall patch. The 25 slot Astrolabe, 30-Day Astrolabe Recharge, and the full year of Astrolabe charges have been significantly reduced by 80%! The amount of Monkey Coin Packs purchased has increased by 20%, prices have stayed the same. Sigls have had their prices reduced. As the server is going on 6 years old and rewards in-game continue to increase, the prices on the shop have to drop to reflect that. With Sigils having their prices reduced from anywhere between 10% and 60% depending on the level of sigil, and 4-packs receiving a greater discount than before. The Firmus pack found on the shop now has a chance to award 3 Firmus! Ancient Blood Jade and Ancient Blood Charm have had their prices reduced to match Ancient Blood Seal, and the full Ancient Blood Pack has been reduced by 25% as well. We've reduced the Supreme Gift Coupon by 50 Bananas to 350 Bananas. The Fatecharm Fragment packs have been changed to have a higher minimum amount when opened, but also to have a chance of increasing that amount by up to double! Fatecharm Sign has been reduced by 20%. We've temporarily removed level 5 Sands due to changes to gem-making and improvements we will be making to these offers. Changed some shop tab names in various custom shops due to a length limit change. Adjusted the cost for late sign-in to be more suitable for our server's Jaden rate. Added many new item packs for event and lotto rewards. Added a new lotto to the Pawn Shop for 10k gold. Fixed the exploration special areas. They can be accessed now. Exploration will be seeing a complete overhaul in the next few patches. Some items that had wrong icons have had their icons updated. The donation pack in the marketplace had the wrong description. We've adjusted the description of the current one to reflect what's actually there, and added a Donation Pack 2.0 with the contents of what it had claimed was there, for twice the Jaden. All pending custom titles have been added. Custom title purchase will be re-activated soon. Users that are waiting for their custom titles will receive their new titles sometime over the weekend. The Star Fetcher title has been fixed. Because of a hardware issue causing crashes on the current server, we will need to move to a new server. This gives us an opportunity to choose a new location as well. Please let us know where you would prefer the server to be located. To get the best feedback I'm keeping the choices very limited. You can test ping the two primary choices as well as some backup choices by using our ping test script. Just download md_server_ping_test.bat and run it. Please reply to this poll with your ping test results and your geographic location so we can get a better sense of the distribution of pings and locations. You can copy / paste your ping test results from the command prompt that opens, or you can open the md_server_ping_test_results.txt text file that is created by the ping test tool and copy the contents from here / attach the file. As I'm sure you're already aware, the server has been crashing every few days (or worse). The good news is this has been getting worse because the population and activity have been increasing. The bad news is the crashes are caused by a hardware issue that we cannot resolve without moving to a new server. It's apparent that if we want to continue to grow without increasingly frequent crashes, we need to move to a new server. This will be a labor intensive process as we setup a new server with all of the different services that makes this game possible, but it's a process we'll have to do. We have also setup a comprehensive automated recovery system so if the server does have a hardware fault that causes it to restart then the game servers, VMs, and all other services will repair themselves and relaunch automatically. This should reduce any downtime from these events to minimize the frustration as we work on a migration. Moving to a new server will give us a chance to relocate the server if enough players prefer a different location. Please try test-pinging potential new locations and vote in the poll for your favorite location. Also, please reply to the poll with your test ping results and your geographic location so we can get a better sense of the distribution of pings and locations. Thanks for your patience while we resolve this.